Weddings abroad are as popular as ever but did you know that you can simplify the whole process by having your legally binding part here in the UK? This leaves you free to have your actual ceremony wherever and whenever you like, avoiding all of the red-tape that is often associated with some countries. Whether you are thinking of a rustic Italian villa bathed in a natural peachy light and surrounded by Cyprus trees, or a wedding on the beach with blue skies and sparkling seas as a backdrop, wherever your dream destination is, just sign your papers before you go! If you book the “signing room” at your local registration service, you can do this for around £50 each, and then with your two witnesses, it is all wrapped up in about ten minutes, leaving you plenty of time to finish your all important packing! Many couples choose to have their legal ceremony abroad, but this can come with a huge amount of paperwork, embassy visits when you arrive, plus lots of legal hoops to jump through. 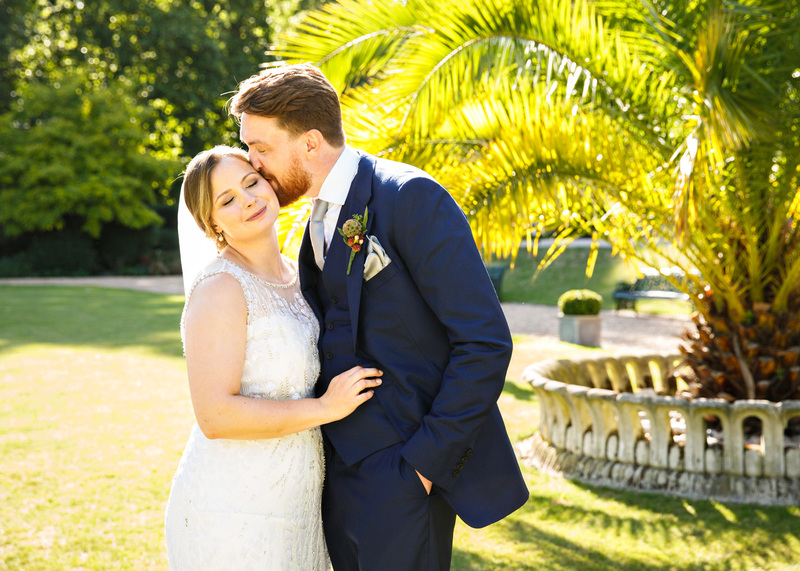 To ensure you have a truly wonderful ceremony, one that reflects you both, book your celebrant in the UK and ensure that your story is accurately told and your bespoke ceremony is delivered in a way that everyone understands. My ceremonies are warm and engaging and with a relaxed feel. I like to involve guests and react naturally to the things that occur, and indeed the environment around us. Despite not being on home soil, we can make sure that we retain all of your favourite traditional British elements to your ceremony if you wish, but also enhance it with some wonderful personal additions too. We can adapt it to the surroundings as well and incorporate cultural elements from your destination country to really add a special touch to your day. Great idea! They will be able to guide you through everything and make sure your day goes swimmingly. We love working with planners and have an abundance of experience working in tandem with them at weddings. Feel free to hop over to read more about this here. I have worked with lots of couples, whether they are British but living abroad and wanting to come ‘home’ for their day, or couples that originate from another country but want to come over for a quintessential English celebration. I have experience with varying combinations of heritage and working locations and can advise couples about all areas of the ceremony. I am also very experienced at developing relationships with my clients over Skype and navigating all sorts of time differences. If I don’t know your venue, then I arrange to visit, and will often take a video of the ceremony setting options for you, so that despite being hundreds (or even thousands!) of miles away, you can see, and feel, what it might be like to walk down the aisle, and indeed what it might be like for your guests too! We speak your language. . . .
Well, we will try to! As part of the service that I offer, I have welcomed couples and their guests in lots of different languages, including Spanish, French, Mandarin, Hungarian, Finnish, German and Italian! This all helps to set the tone and to make everyone feel a part of your day. • Draft script with visible prompts so that you know I have all of the small details covered! • I will officiate your ceremony, and all elements of the service will be spoken in English (but we can welcome guests in a variety of languages! ), and I will guide you through everything so that you can just relax and enjoy the day! • You will receive a commemorative ceremony certificate, and I can also source handmade items like handfasting cords etc, all in your wedding colours or made from fabrics personal to you, and these will be presented to you on the day. Whilst I am based in the UK, I am happy to assist you wherever your dream wedding location might be! Fees for a destination wedding ceremony are obviously dependent on location but can be broken down in two ways. There is a lot to consider, but with the option of a celebrant-led ceremony, your route to a destination wedding is made a whole heap easier! I have lots of ideas and really great experience, and look forward to hearing more about your destination wedding plans! Let's realise your dreams of a destination wedding together!